November 13, 2015, Springfield, NJ – The IBF/USBA has joined forces with one of its members, boxing judge Tom Schreck of New York, to support and bring awareness to the Undisputed Champions boxing program for individuals with autism and other disabilities created by Schreck and his colleagues. Tom Schreck, Director of Communication at the Wildwood School, and Adapted Physical Education Teacher Rachel McDermott along with professional boxers Javier Martinez and Sarah Kuhn created a non-contact yet challenging boxing program that brings an uplifting and demanding workout to the participants while building their confidence and guiding them achieve their goals. The training program is held at Schott’s Boxing Gym in Albany, NY. Tracie Killar, mother of one of the participants praises the program noting how her son Jude has became more confident, stronger and has lost weight. 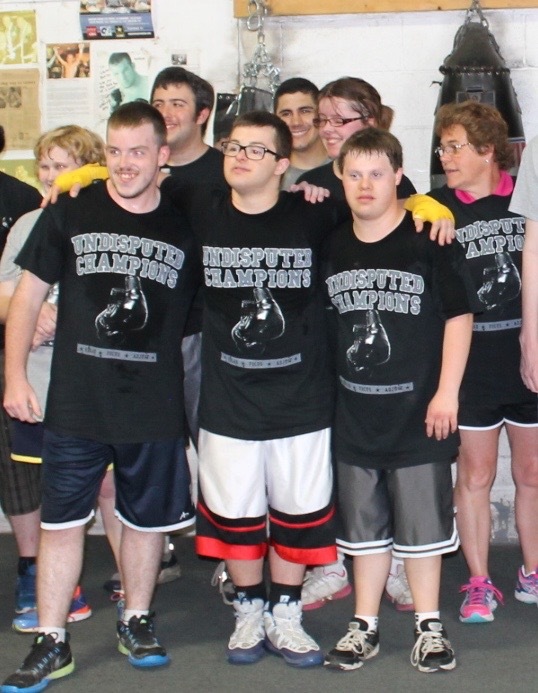 “Bringing Jude to the boxing gym opened up a new world to him where he could exercise and be a part of a group of people dedicated to an awesome sport. I appreciate the boxing program for recognizing that our children have so many options and avenues to explore. He is a young man who had been challenged, encouraged and excited about a sport we never dreamed he would have the opportunity to pursue,” remarked Killar. The IBF is sponsoring a fundraiser for the Undisputed Champions program. 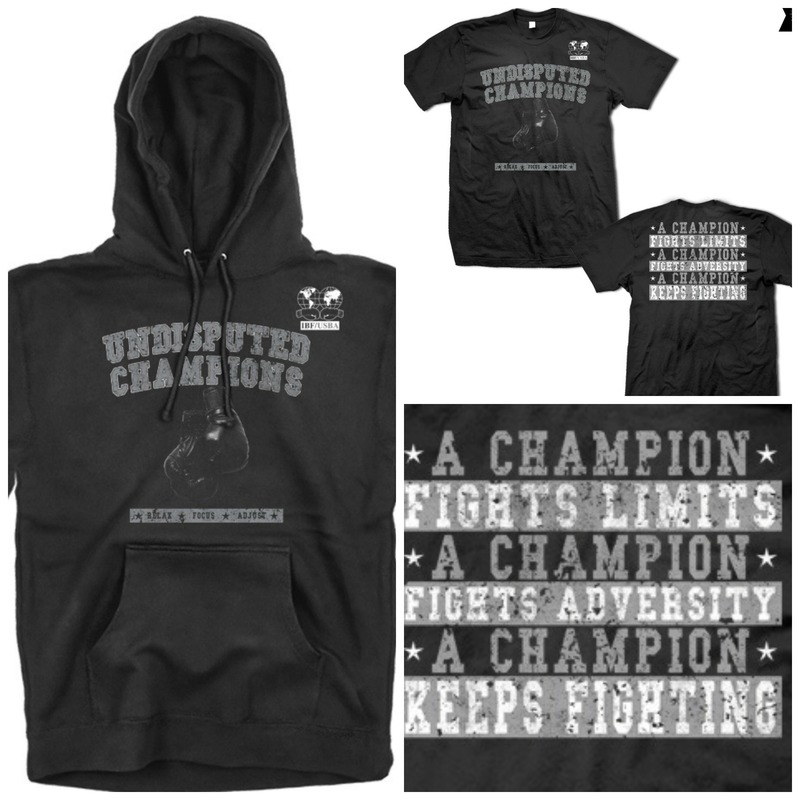 Help the program by purchasing an official Undisputed Champions t-shirt or hoodie with the IBF/USBA logo on it. All the proceeds go directly to the program. The official t-shirt and hoodie are available from Tom Schreck directly at: tom@tomschreck.com.